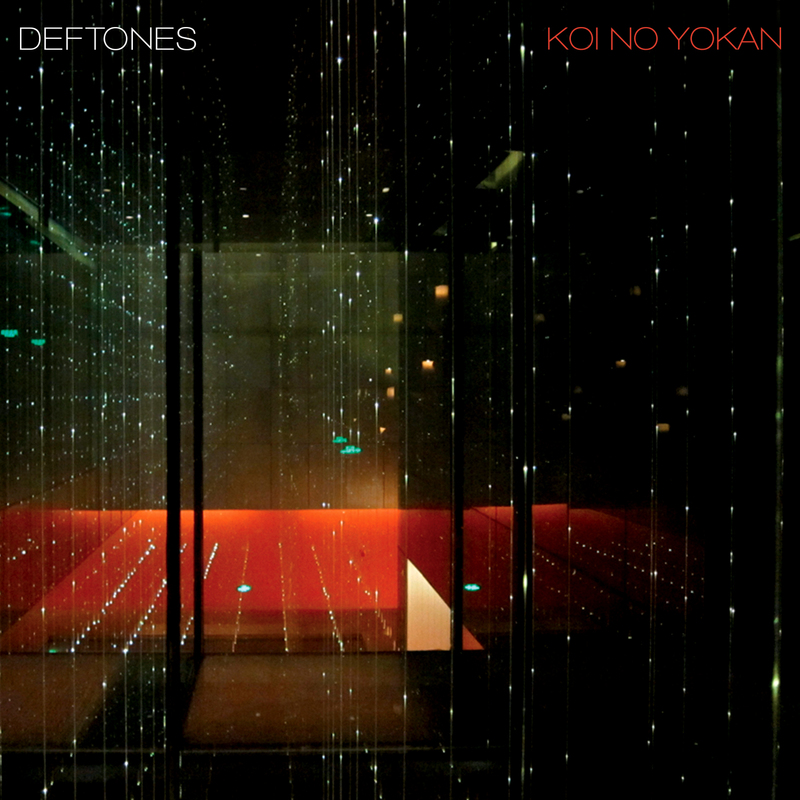 Alternative rockers Deftones return to studio with Koi No Yukan (which curiously means 'Love's Premonition), and the album's been getting a lot of press attention from reviewers who are mesmerized by the band's ability to convey sharp dynamics between soft and heavy. It's clear that the reviewers are not very musically inclined and the reason for the incredible tone in the group's last album, Diamond Eyes, and this, is their switch to 8-string guitars, which gives off a different sound when distorted than their older 7-string guitars. 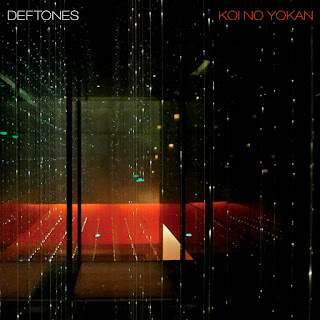 Having seen astonishing albums put out by Ihsahn and Animals As Leaders who utilize the 8-string effectively, the tone of Koi No Yukan is nothing entirely new. That doesn't mean the album is without its strengths, though. One characteristic that makes Deftones highly popular with the alternative press is the groups' stellar songwriting capabilities, and all of the Deftones soundscape is already here on this album, ethereal atmospheres, heavy guitars that are used sparsely and many intriguing moments of introspection. The production is fantastically warm yet sharp, a nice paradox that creates a very lively setting for the band's sound, keeping it both introspective and hard-hitting. This spaciousness allows for songs like 'Poltergeist' to truly shine on the album (and may as well be one of my favourite songs here). Is the 8-string guitar fully utilized? My honest answer would be a no, but it's tone does keep some of the mediocre songs engaging, especially toward the second half of the album where the songs start to become too comfortable and lethargic. There is no push/pull dynamics in this album, at least not in such an epic scale as Tool's work, or like this year's incredible Years Past Matter by Krallice. The album's main strengths lie in it's lush spacey atmosphere, with the hard elements giving it a nice contrast for a fulfilling soundscape, and the album, like most of 90s nu-metal, works best as one whole collective rather than induvidual songs, and whether that is your cup of tea or not is not what I can determine. I can however conclude that this allows for a high replay value of the album, and it is structured for such, long background music for long rainy nights. This is a great album for mood, and who knows, may be one of the better albums released this year.